HomeCleaningNO SCREWS, NO NAILS No Scratch Kitchen and Bathroom Hook REUSABLE! NO SCREWS, NO NAILS No Scratch Kitchen and Bathroom Hook REUSABLE! Or 4 x $1 easy payments interest free with Afterpay. The super strength Kleva Hooks hold up to 3kg each. Easy to remove, they leave no holes, marks, sticky residue or stains, Perfect for bathroom and Kitchen use! The super strength, removable, no scratch, no nails Kleva hooks, are the perfect hanging solution for organising your home without causing damage to the walls. Are you tired of having to ruin your walls with drills, hammers, screws and nails? 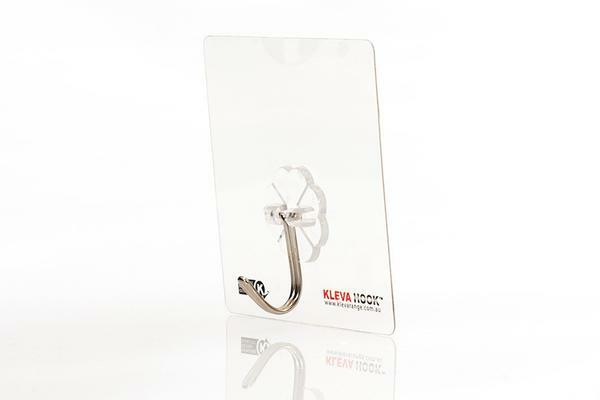 Introducing the all new, no screws, no nails Kleva Hook. 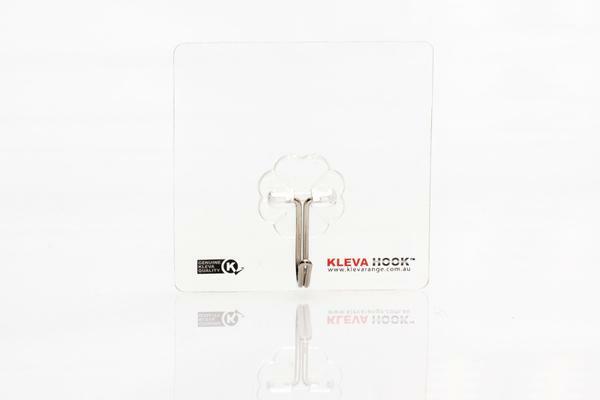 The Kleva Hook holds up to 3kg and works on all smooth, glass like surfaces including tiles, smooth concrete, windows and more. De-clutter your home the easy way with the Kleva Hook. Stop struggling with weak hooks that bend, break, and snap! 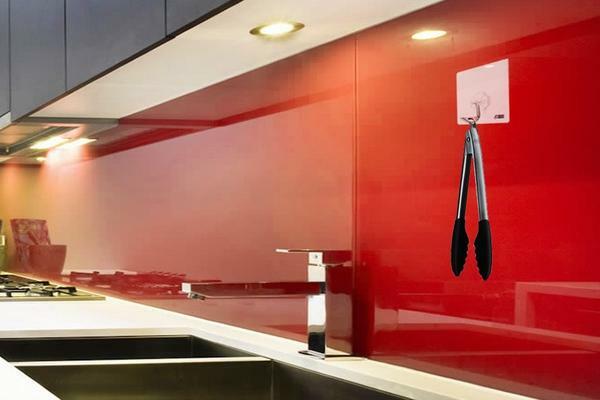 Kleva Hooks are the perfect solution with a firm grip for organising your home without causing damage to the walls. 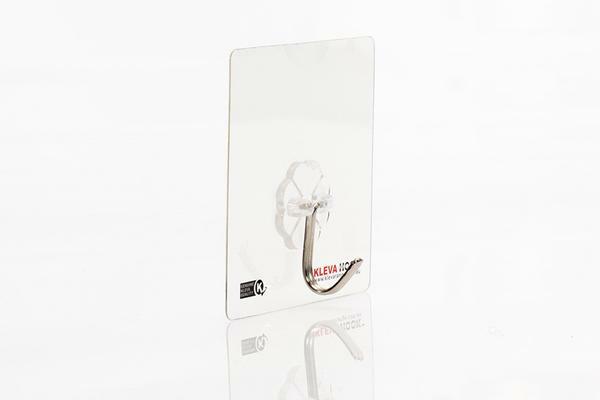 Kleva hooks will hold up to 3kgs of weight per hook. Perfect for holding bathroom organisers for shampoos and conditioner. Kleva Hooks are easy to use and apply. 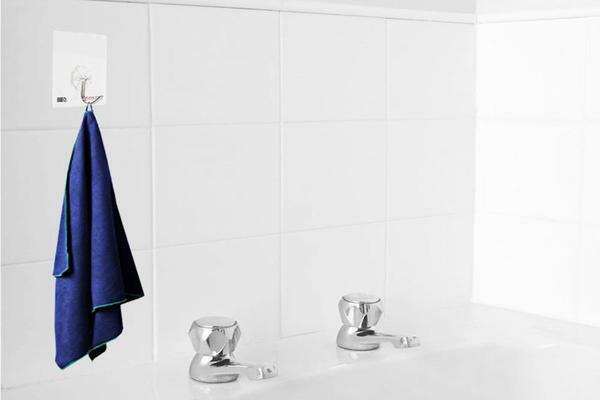 Simply find a clean, smooth space for your Kleva Hook such as tile or bathroom wall, and wipe with a damp cloth. Peel away the protective backing to reveal the sticky side of your hook. Firmly press the hook against the surface of your choice and start hanging. Kleva Hooks are perfect for the bathroom, shower, kitchen, shed, office, camping and boat trips and much more. Kleva Hooks are easily transferable from wall to wall and can be reused over and over again. Should your Kleva hook lose stickiness, simply rinse under water with washing liquid to clean the surface and re-expose the sticky side. It is great, I use it for hanging my hand towel up in the bathroom.